Capsugel has been producing innovative dosage forms for nutrition and pharmaceutical markets for more than 100 years. We can help ease go-to-market regulatory concerns with the highest quality standards and our compliance know-how. Capsugel has the in-house expertise for making sure we meet regulatory standards for healthcare products anywhere in the world. In addition to our regulatory expertise, our quality assurance managers have extensive experience in the Health and Nutrition market. We are also an active member of many trade associations operating at different levels, including the International Alliance of Dietary/Food Supplement Associations (IADSA), Food Supplement Europe (FSE) and several regionally based associations. Actively participating in these associations is imperative to staying abreast of the evolving marketplace, gaining insight into current guidelines and learning about upcoming regulatory requirements. Whether you need to quickly respond to changing global demand or enter new and emerging markets to stay competitive, our insight into regulatory compliance can help you achieve your goals. 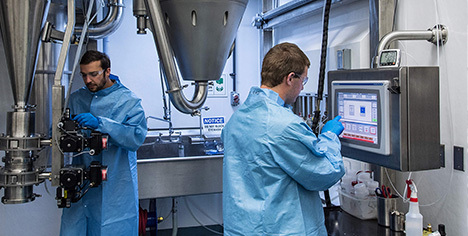 Certificate of Analysis– As part of our commitment to world-class quality, Capsugel provides a Certificates of Analysis with every capsule order. This includes the specific details and test results of each lot of capsules, certifying the manufacture of these capsules is in accordance with established specifications. Many customers are able to significantly reduce incoming QA testing based on information supplied in the Certificate of Analysis. Regulatory Information on Colorants– We’re known for our extensive expertise in the global use and regulation of colorants. We only use colorants that comply with the current food and pharmaceutical legislation in the major regulatory regions (US, EU and Japan) where applicable. and as required by you, our customer. Our experts can, for each capsule product, verify its suitability for the intended application and geographical destination. They will meet with you throughout the development process to ensure compliance on a market-by-market basis. The safety of foods, dietary supplements and pharmaceutical products is a major concern for consumers, governments and the nutrition industry. As such Capsugel mitigates risks through a comprehensive quality control and assurance program not only making good business sense, it can actually lead to a reduction in costs for testing as well as savings in both fixed and variable costs. As laws and regulations vary by country and their application is often fact-dependent, please contact us for detailed information related to the capsule manufacturing process used to produce our capsule products. And as always, Capsugel strongly suggests you seek your own expert regulatory advice.